Your source of strength, shoulder to cry on, all-around-biggest-fan…a father serves many different purposes when it comes to his daughter’s life. But one constant? He’s been there since the beginning. There’s no doubt that the moment he gives you away on your wedding day will be one that both of you remember and treasure forever. 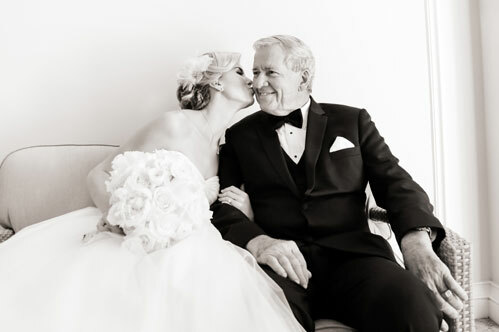 To honor the man who loved you first, we’ve gathered 5 father-daughter photos that never fail to bring a tear to our eye! (Really, you might want to have the tissues ready). Two words: instant tearjerker! 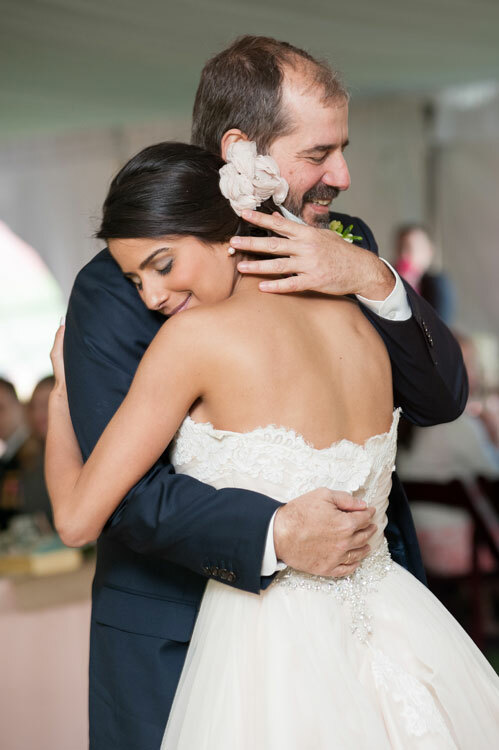 A daddy-daughter ‘first look’ will not only document your father’s reaction to seeing you in your gown for the first time, but it’ll capture the special bond you share with one another. Share a close-knit relationship with your sisters? Make sure dad gets the chance to pose with all of his girls! 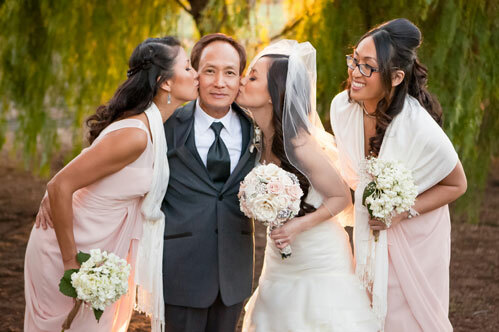 After all, your wedding is a celebration for every member of your family, and having a photo that features all of your sibs is sure to mean a lot to your dad! As you walk down the aisle to meet your soulmate, your dad will be right there beside you, offering the same support and love he’s given you since Day #1! And as he gets ready to give you away, the heartfelt moments shared prior to your vows are ones you don’t want to miss! 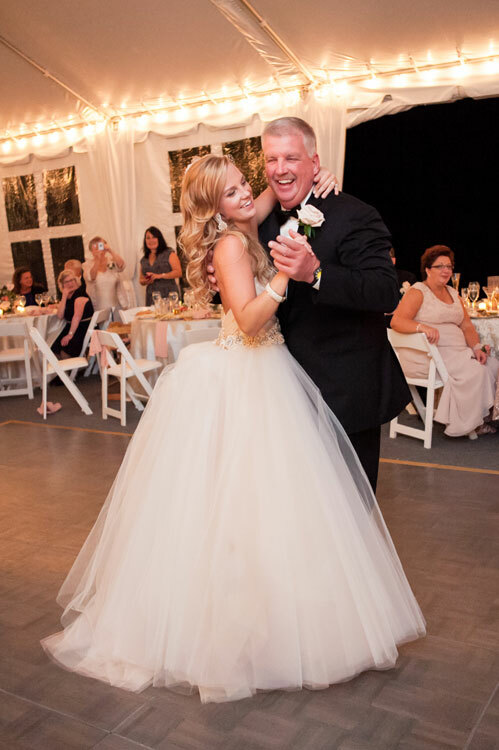 There’s a reason the father-daughter dance is often named the most emotional moment of a bride’s special day. It may be just a few minutes out of a night of memories, but it’s one filled with so much meaning — a special moment with your dad you’ll never forget! There’s nothing quite as powerful as a photo that depicts an organic, raw moment, whether it’s the subtle tear sliding down your father’s cheek or the sweet hug you shared before the ceremony. It’s often the spontaneous moments that create the most unforgettable memories, and reflect the emotion that a planned-out, posed photo simply can’t.